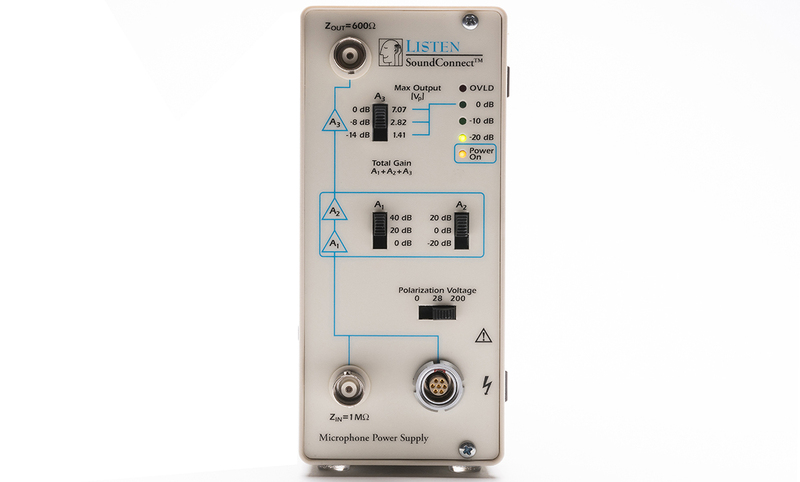 SoundConnect mic power supply – Listen, Inc.
SoundConnect is a cost-effective, single-channel microphone power supply for audio test applications. 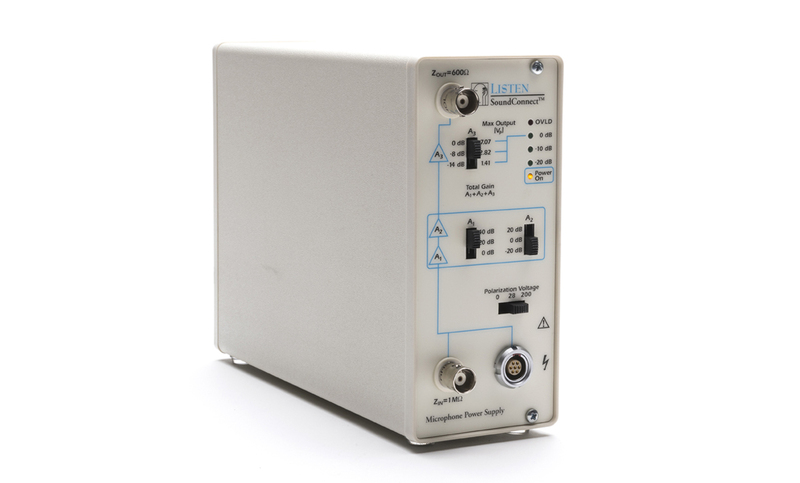 SoundConnect is a microphone power supply and amplifier designed for use with the Listen SCM microphone and also compatible with reference microphones from other manufacturers including B&K and GRAS. Its switchable polarization voltage (0, 28, 200V) allows it to be used with both traditional and pre-polarized versions of these microphones. 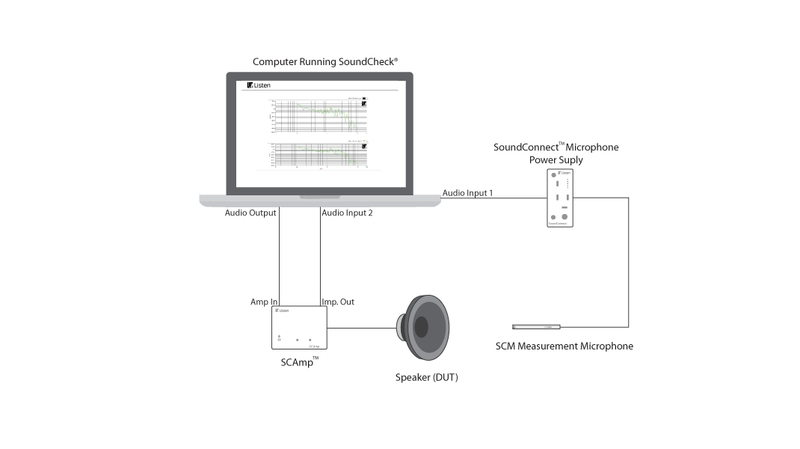 SoundConnect extends the dynamic range of your measurement system by as much as 80 dB from 2.5 µVrms to 50 Vrms. This offers a better signal to noise ratio for your measurements and therefore greater accuracy. It also offers two signal attenuation settings to avoid clipping with high-level signals. A stepped level indicator simplifies gain-setting by offering clear visual feedback of the signal level. Cascaded attenuator and amplifier stages ensure amplification linearity with a minimum of noise and distortion. 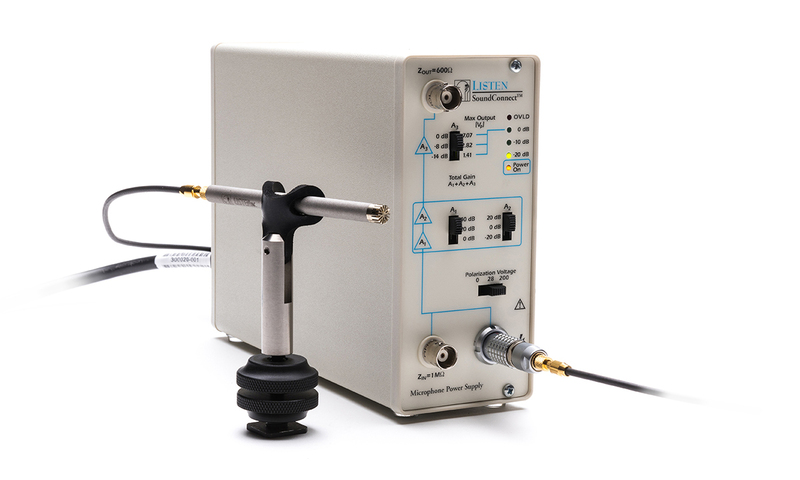 This is particularly useful for measuring low sensitivity microphones, self-noise, and transducer distortion. SoundConnect features a LEMO input connector, making it compatible with most measurement microphones. It also has a BNC line in, a BNC output, and an RCA output, simplifying connectivity to a SoundCheck system. Its housing is a rugged all-metal construction that can be used in either a horizontal or vertical orientation, making it suitable for harsh production environments as well as the R&D laboratory. 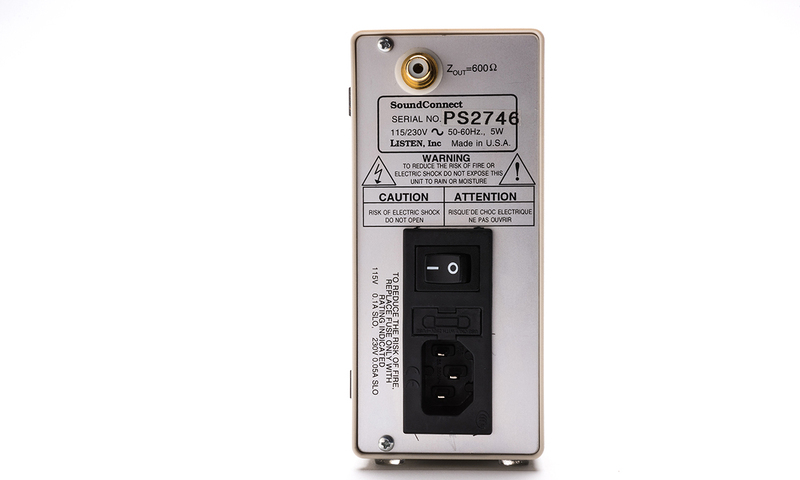 SoundConnect is made in the U.S.A. and is designed to UL and CE requirements.